I see an increasing number of clients with muscular aches, pain, stiffness & lack of movement. This can be due to many factors: lack of exercise; lack of general mobility due to illness or injury; over-exercise & not allowing muscles to properly relax; long working hours; desk-based work (causing the classic C-shaped spine); long hours of driving, travelling or commuting; stress, anxiety & emotionally-held tension, or simply a sedentary lifestyle. The main point of the treatment is that it is for you and all about you. I therefore want you to feel comfortable at all times and feel able to discuss your needs, what you would like from the treatment and how you would like to feel when you leave, or anything else to give you peace of mind. I offer different types of massage treatments – all of which can be provided as Holistic with plain oil such as Sweet Almond or Grapeseed, or as Aromatherapy, with essential oils. 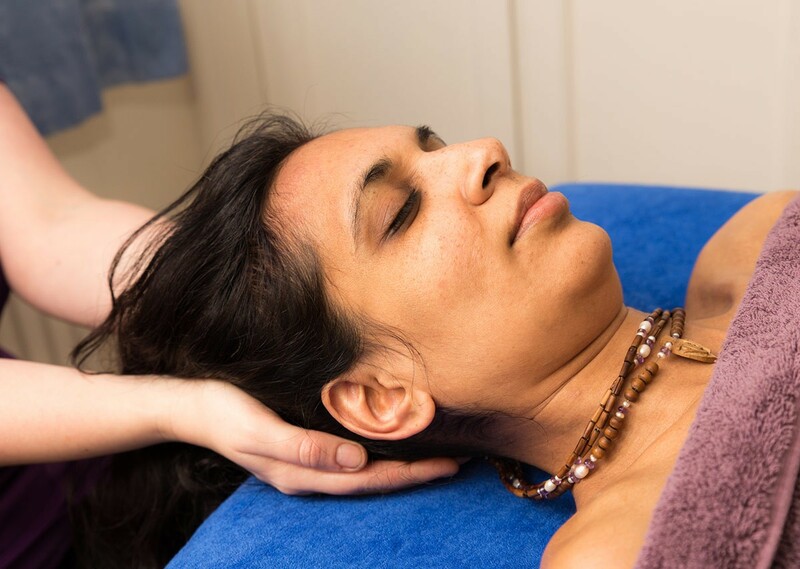 Below I explain about Aromatherapy, Massage and what to expect from an initial treatment session and the aftercare I can provide. The first treatment can last up to 90 minutes in total, allowing you to have enough time to discuss any symptoms or issues without feeling too pressured or constrained. This initial session also begins with an initial medical consultation: a questionnaire designed to gain a basic medical & lifestyle history in order to treat clients to the best of my abilities & with the greatest concern for their health, safety & care. Any information is naturally treated with complete client confidentiality. Time is also given to raise any specific issue that you might like to address during treatment, either physical or emotional, or to ask any questions that you may have, but whatever your reason for treatment or whatever the type of massage you choose it is all about you & your needs. You may choose to have a holistic massage with plain carrier oils (such as Sweet Almond, Grapeseed, Wheatgerm oil etc) or with Aromatherapy essential oils. As massage requires the oils to be in contact with the skin, both to facilitate the massage & gain the effects of the oils, you will need to remove some items of clothing. If you would prefer not to use oils & have a massage through clothing this is also fine. Massage has no hard & fast rules & whatever you need can usually be accommodated. I will advise you of anything that is needed beforehand but if you have any questions please do free to ask. It is always my wish that you feel comfortable at all times, so you can have complete assurance that your modesty will be maintained throughout. You will then lie down for me to massage the oils into your skin. If you have come for Aromatherapy I will create a completely individual blend of the most appropriate essential oils for you to use within the treatment & to take home. After the treatment full aftercare advice will be given & a leaflet provided at your request. I am also happy to make up any home blends for treatment you may require for a small charge. These can be for self-massage, use in the bath, an inhaler, steam bath, burner or vaporizer. I can also provide them in a rollerball or aromastick for ease of carrying.